As every business is unique, there are variances in pricing the products and services in every company. Not all of them incorporate strategies that aim to sell the highest possible amount (or all of it) of what they are selling, just so it could act as an indicator of company’s market performance or success. Rather, the usual approach is setting the pricing to sell the optimal amount of products and services you offer, all the while gaining maximum profit per each sale. How you use your pricing strategy to determine the price of your goods depends on a number of factors. These include the ever-present competition, the price elasticity of what you are selling and, most importantly, the perception of both your existing and potential customers towards your products and services. This, in turn, affects your sales. It stands to reason that finding the right pricing strategy while retaining satisfactory sales volume might require some trial and error. In this post, we’ll explain how you can avoid some of the hit-and-miss situations and stay one step ahead of your competition. While discounting may sound like a tempting idea, especially in times when the going gets tough, it’s important to remember that it can also hurt your business, most notably your cash flow. Decreasing the price of your product means you need to increase your sales volume in order to achieve the same profit. And, as most managers know, that can be quite tricky. Underpricing is best suited as a short-term solution which can have a long-term impact, manifesting either in increased or decreased profits. Having a discount pricing policy set as a long-term strategy is a risky business and hard to pull off, mainly because there is a very thin margin for profit. In that case, a business needs to develop a continuous stream of large volume sales so its strategy could pay off in the end. Problems with this pricing policy might also suggest there are other issues or weaknesses in your business that force you to lower your prices in the first place, not as a part of an ongoing business strategy. In contrast, increasing the price of your product could significantly lower your sales volume, albeit retain profit levels. Introducing a premium pricing strategy means you attain a “higher price and margin, lower volume” approach which has all the potential to gloriously backfire. At their core, customers are wired to look around for the cheapest deal in most cases. As much as they care about quality, it seems they care more about their wallet. In the end, you could end up with an overpriced product that could sit on the shelf and collect dust. As the two strategies can have opposing outcomes, it can be difficult to pinpoint what exactly best suits your business. 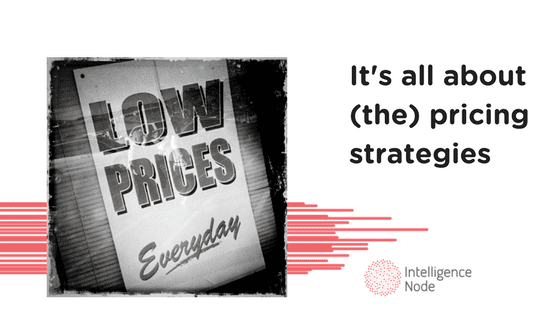 However, there are some things to take into consideration when defining your pricing strategy. Most notably – your competition (the post title kinda gave this away). Product differentiation – having a product that stands out in the market would allow you to employ a premium pricing strategy, thus not relying so much on sales volumes as long as you have the competitive edge. Customer value – the quality of your products and service, as well as the variation in the assortment, can sustain the “higher price, higher margin, lower volume” policy if you can readily meet your customers’ demands and expectations in terms of overall value. 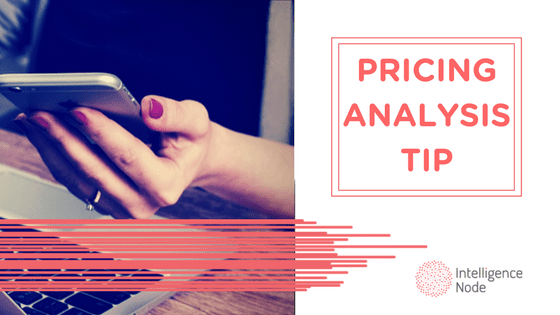 Price – this is the first indicator of your pricing policy and the one that gets the most attention. When it comes to manual tracking, this is an option that provides nominally cheap(er) assessment of your competitor’s prices. Working in Excel is fine as you can focus on the competitors that matter to you the most on your own pace. However, the pace is the main issue at hand here. Prices are the most obvious form of competitive advantage and they are highly dynamic, thus it’s very easy to miss most of the changes. Time is vital and tracking large amounts of price data by yourself increases the chances of missing some of the data, thus jeopardizing the accuracy of your reports. 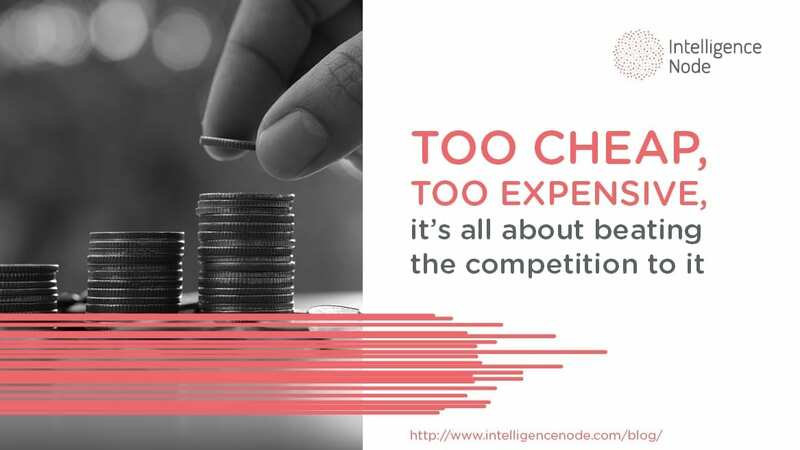 On the other hand, competitive intelligence software like Intelligence Node’s Incompetitor (product tracking) and Inoptimizer (price optimization) allows for a deeper focus on product and price data analysis through automation. It saves time and resources and offers analytical insights into market trends. 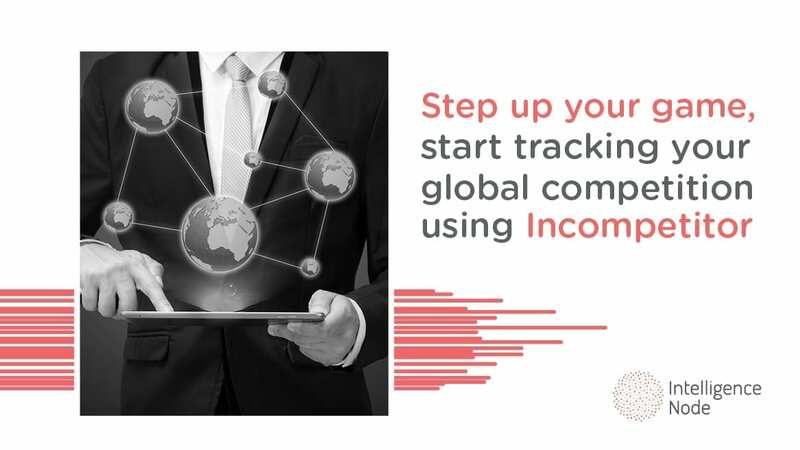 Because the software does the majority of work for you, there is no problem with the scope of your competition tracking (usually, you can track millions of products without any hassle) so you can focus on those that compete both directly and indirectly with you. All in all, you can make more informed and accurate decisions in a timely manner, thus stay ahead of others. Balancing between not harming the brand by lowering prices too much and not alienating customers with your higher prices can be tough. As some buyers will look for the best deal available, others are willing to pay more for a unique selection and better features and service. Finding that optimal middle ground requires researching your competition. Depending on your needs, that means utilizing either workforce or software to carry out the chore of keeping tabs on others. Be sure to cover all of your competitors with your analysis or you might miss on some of the opportunities and lose the competitive advantage you might have.